log4job.com - Your electronical log book for maintenance jobs. 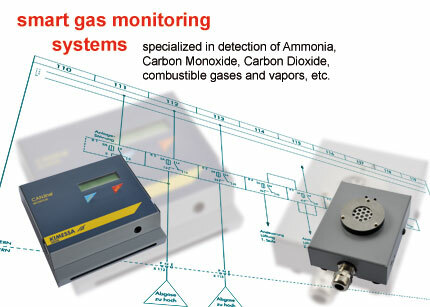 State of the art gas monitoring systems. KIMESSA AG was established in 1985 as an innovator in the design and manufacture of electronic fixed gas detection solutions. KIMESSA AG specialises in fixed gas monitoring and control systems, with customers drawn from industries including underground car parks, HVAC, laboratories, refrigeration, food and brewing. All of our products are developed and manufactured in Switzerland. 50% of our output is exported through an experienced distributor network. Certified to ISO 9001:2008 and the production to the high quality requirements of Directive 94/4/EC (ATEX), KIMESSA AG proves they are committed to meeting their customers demand for robust, high quality and innovative products. The optimum performance of our customers is our goal. We are not satisfied with anything less. For almost 40 years we have been specialising in the protection of industrial machinery and systems against overload and downtime. Today, KRIWAN is the global leader in electronics and sensor systems for refrigerant compressors, in temperature sensors for electric motor winding protection, and in industrial weather measurement technology. With our advanced sensors and electronics for monitoring, control and evaluation, we support and optimise the trouble-free operation of machines and systems. We are always close to the customer, even internationally, and are a reliable, innovative systems partner. Outstanding product quality and consistently reliable delivery are our highest priorities. Our short response times and a high flexibility help our customers react quickly and operate successful in their markets. KRIWAN designs and manufactures problem-oriented system solutions. This requires experts, for products as well as for service. We stand ready to support our customers in project stages as early as the discussion of optimisation needs and task requirements. For problem analysis, we are able to provide development expertise, as well as application and process know-how. Our system solutions are tailored to customer needs. The »3 in 1« System from KRIWAN – experience the new generation of compressor protection!